Are you stuck on the side of the road? Depend on our towing company for a fast roadside service. Whether you have a flat tire, you’ve run out of gas, or your vehicle has broken down unexpectedly, you can trust us 24/7 roadside assistance. In addition to serving our city, we also assist stranded car owners throughout the greater area. When you need emergency response, contact us today. As a professional towing service, we understand the importance of treating customers with respect. We place a premium on customer service in everything we do. This means our drivers strive to arrive at your location as quickly as possible. Once there, we are courteous to you and anyone else at the scene. We know from experience how stressful these situations can be, which is why we believe it is important to be friendly, prompt, and professional at all times. Flat Tire Change — Do you really want to change a flat tire? Whether it is losing air before getting into your car or you experience a blowout while driving on the road, we are here to help. We provide tire patching and complete tire replacements, depending on the condition of your tire. Battery Jump Start — Dead batteries are a common problem for our customers. We come to your location and provide a speedy jump start so you can hit the road as soon as possible. Locksmith Service — If you lock yourself out of your car, you are not alone. Everyone has done it at some point. All you have to do is let us know, and we will bring the necessary tools to unlock your car quickly and safely. For occasions when our emergency roadside service is not sufficient to solve your problem, we tow your car where you need it. We offer both local and long-distance towing to auto repair shops or any other location. Rest assured, your vehicle will be in the same condition when we drop it off as when we came to pick it up. Any hour, any day! We’re there when you need us. Since vehicle problems can happen at any time, we offer around-the-clock roadside assistance that brings you peace of mind. If you break down on the side of the road or your car won’t start when you’re heading to work, contact us for prompt service. Don’t flag down another driver to help if you’re stuck on the road. We have a better and more reliable way to address the problem. Put our number in your phone, (301) 363-1040, and give us a call if you are ever stranded. You’ll not only find that we are prompt, but our services are affordable. In addition, if you need a tow, we provide flat towing with no hidden fees. You have a friend on the road, Recovery 1 Towing LLC. Regardless of when, why, or where you are in the greater area, we respond quickly to your needs to provide courteous roadside service. Travel with peace mind, knowing that we are always here to help if you have car problems. We’ve got you covered, because we care about our customers, their cars, and our excellent reputation in the community. 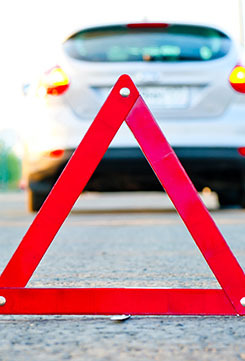 Contact us today to request any type of roadside assistance you need. We proudly serve Upper Marlboro, Forestville, Clinton, Lothian, and Capitol Heights, Maryland, as well as the surrounding areas.